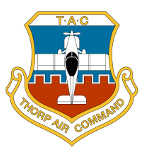 Thorp Air Command - T18.net • View topic - Whirlwind GA 200 ground adjustable prop for o290? Whirlwind GA 200 ground adjustable prop for o290? Post subject: Whirlwind GA 200 ground adjustable prop for o290? I found a Whirlwind GA 200 on barnstormers with 12 hours on it for $1500 which is about a grand off new. I think some other planes use this on an o290. Post subject: Re: Whirlwind GA 200 ground adjustable prop for o290? I quickly went over to Barnstormers and checked the ad. If I'm looking at the same ad, it's for a Continental O-200 engine and won't fit a Lycoming O-290. Yes that's the one. Listed on their website it shows the same last number for 200, 235 and 290. They all are listed under the ga 200. Maybe there is just a difference adapter plate for book sizes when you order. Even then a pretty good price. I know the short wing piper forums show shone using it on their clipper with 290 and i think i saw videos of a tailwind using them. I wanted any personal opinions from you guys about them before calling the company to see whay i need to do to fit it based on my prop hub. U don't like wasting my time calling companies if it's not a product anyone i trust would use. Thanks for the heads up though! I have the Whirlwind prop on my O290G, from the invoice the model number is GA200L-616-H, short hub and short blades for a 68" dia. My motor has a SAE-2 prop hub using 3/8" prop bolts, don't know what an O200 has. The Whirlwind web site list the O200 prop as a GA200CN and the Lycoming as a GA200L. Note: I love my Whirlwind prop, I get better performance and I don't worry about flying through the rain. You are getting quite a bit more than me. I'm not sure what my numbers are for 2450 or 2500 as I normally run it flat out and rich down low and start to lean it to max power (100-125* ROP) above 5k when I'm below 80% power. Mine is 164mph flat out. Could the the drag but could also be the prop. You said under 2600 rpms continuous, does your 290 have that limitation? Mine doesn't list that limitation on the placard or in the manual. Perhaps you are actually going faster than you think? Is that 164 mph indicated or have you gotten out the E6B and corrected it? And a 4 leg GPS verification? My O-290 T-18 with 68x68 prop is a little slow: 174 MPH TAS, WOT, 2670 RPM @ 6000 MSL, but my canopy is a bit tall at the back which gives my long body some required headroom. I wish it was indicated. It's the true airspeed calculated by my d10a. Lycoming Operator's Manual o-235 and o-290 Series, 4th edition dated Jan 1988, on page 2-2 for all models O-290s list take-off RPM 2800, Rated RPM 2600. I couldn't find where the 5 minute full power limit is stated in this manual, I have seen that limitation some where in a Lycoming manual I believe. It is on the type certificate. I saw that in the manual when we topped the engine but my data plate says differently. Mine was a G converted to D and also has the larger exhaust valves for strength. The G units were run at 3k rpms continuous as a generator without any issues so must be something else in the aviation units or just adding a margin of error. I know flat out I only hit 2700 rpms anyways. On thing is funny that the take off ratings are higher rpm but you will never get that high of rpm with a proper propeller. My static and takeoff with Vy climb holds 2300 rpm. It will pull 2500 in cruise climb. So mine just barely gets over the 2600 mark that the D series have (except my data plate just says max continuous 2800). That's if my tach is 100% accurate. Several years ago I owned a 160hp O-320 running a CSP Hartzell on a PA-20. It would run at redline for takeoff. That ended when I converted it a fixed pitch prop. I could have gotten the rpm back if I installed a prop pitched for climb but I favored cruise flight. It takes a flatter pitch than I think most people would want to run on something like a Thorp to get max rpm from a fixed pitch prop. Flat pitch props are more popular for back country flying, stol competitions and float planes. “Proper propeller” is as much a subjective term determined by intent as much as it is by what the engine/airframe will allow. As a side note I will add, although I lost climb and cruise performance, the Pacer actually flew much better without all the extra weight of the CSP. Anyone with a CSP prop on a Thorp care to share their max and/or cruise speeds with prop control full forward versus what it is when pulled back for cruise? By "proper" I was simply referring to the airframe manual which dictates the static rpm range on certified aircraft. CS is a whole different beast so I was omitting it from my thoughts since I don't run them. Just like you stated with the pacer, they weigh too much so on smaller and less hp engines you pretty much lose quite a bit to the weight. Plus the cost of the prop is most likely the cost of the airplane!